Smith blasted an imperious 192 off 305 balls with 15 fours and two sixes to spearhead Australia to a formidable 530 and then took a diving catch to have the tourists at 108 for one at the close on the second day and trailing by 422 runs. 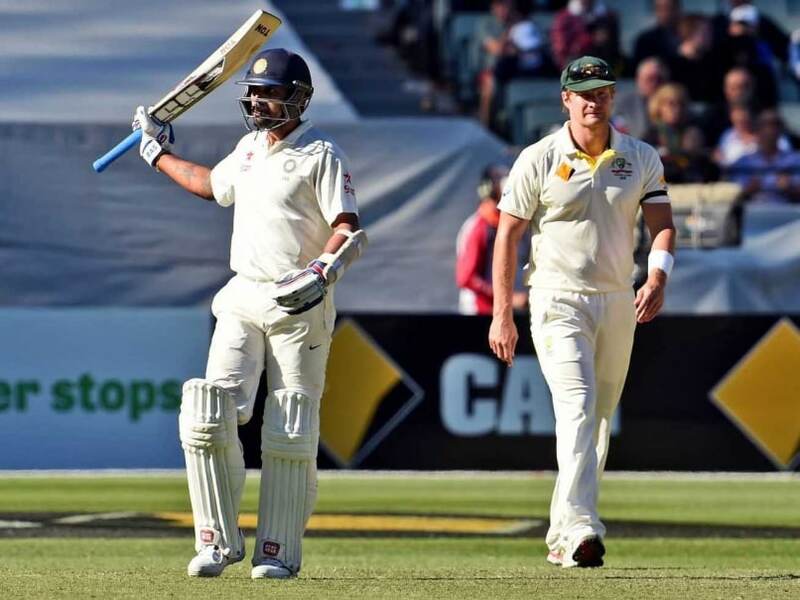 Murali Vijay passed fifty for the fourth time in the series and was unbeaten on 55 with Cheteshwar Pujara not out 25 after Smith swooped to take a catch low off the ground at second slip to dismiss Shikhar Dhawan for 28 off Ryan Harris. 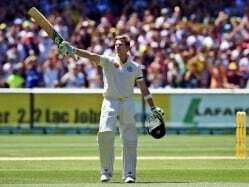 Murali Vijay raises his bat after scoring his 50 at MCG. Smith dominated day two with his highest Test score and was the last wicket to fall when he went after a big shot in pursuit of a double century. It was his third century of the series, his fifth for the year and was replete with all his quirky shotmaking to leave India skipper M.S. Dhoni at a loss as to how to contain him. Smith eclipsed his previous highest score of 162 not out in the first Adelaide Test by dancing down the wicket to plonk spinner Ravi Ashwin high into the stands with a mighty six. The new skipper was aided by lusty knocks from Haddin (55), Mitchell Johnson (28) and Ryan Harris (74) as Australia took apart the Indian attack. As a double century beckoned for Smith, Dhoni placed all his fielders close to the ropes in damage limitation but in the end the Aussie skipper threw away his wicket going for a big heave off Umesh Yadav only to be bowled. 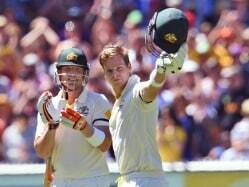 Smith has now accumulated 567 runs in the series for three times out at an average of 189. Paceman Harris brought up his highest Test score with a six off Ashwin and then was out next ball leg before wicket for 74 off 88 balls. 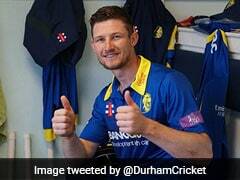 He put on 106 runs for the eighth wicket with Smith and looked unruffled against the nonplussed Indian bowlers. Nathan Lyon was out going for a big heave off Mohammed Shami for 11 with another 48 runs added off 38 balls. 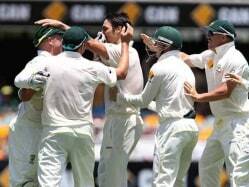 Australia lost two wickets in the morning session but added 130 runs to their overnight score of 259 for five. Haddin played himself back into form after a run of 15 innings without a fifty, reaching his 18th Test half-century and his highest score for almost a year with his 55. The veteran wicketkeeper tried to leave a Shami delivery but got a bottom edge and was caught behind. 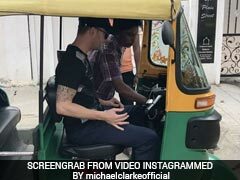 Haddin put on 110 runs for the sixth wicket with Smith, while Johnson hit a breezy 28 off 37 balls with five fours before he was stumped off Ashwin shortly before lunch.